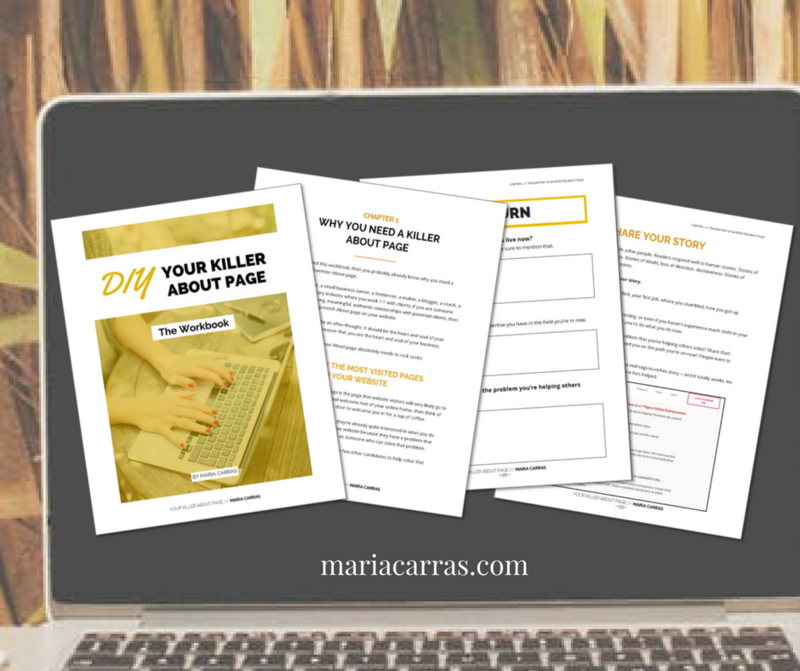 Thank you so much for agreeing to be an affiliate for the DIY Your Killer About Page Workbook? I'm super excited that you're on board. 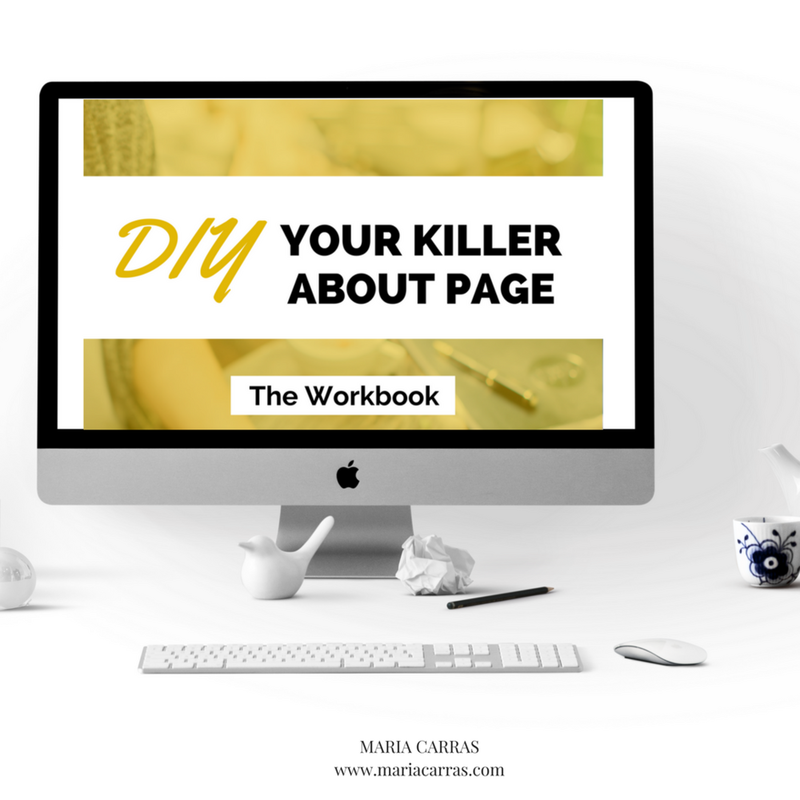 What is the DIY Your Killer About Page Workbook? The Workbook is an interactive PDF and a comprehensive guide and framework for helping service providers and people who work 1:1 with clients write their About pages. It helps them craft an About page that positions them as an expert in their field and as someone their target audience would love to work with. View the sales page HERE. - Are in the process of a re-brand or shift in their services. - Are trying to get clear on their personal brand and messaging. 1) One link will be for the Workbook Sales Page, which you can view HERE. 2) One link will be for the signup to my free training on About Pages, which you can view HERE. Please note, this free training also sells the workbook on the same page. You will receive your commission when people purchase through both the Sales page AND through the free training. The Workbook is priced at $49 and your commission is 50% paid out every two weeks. Cookies are valid for 1 month. Maria’s about page workbook was just what I needed! I was in the process of creating my website and knew the importance of saying the right thing, but wasn’t quite sure what to write. Maria’s workbook breaks each step down perfectly and really helps you think outside the box. The examples she provides throughout the workbook are extremely valuable. I have received several compliments on my about page since using her workbook. Thank you Maria! 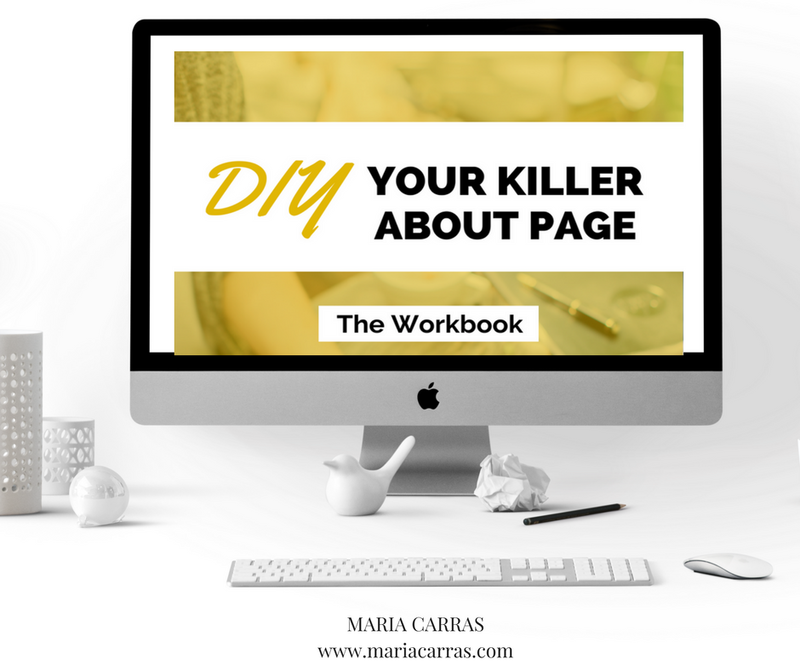 For the month of June, I'm directing people to sign up for my free training + checklist on how to write a killer About page. The free training is a 30min pre-recorded webinar which pitches the Workbook at the end of it. You can view the signup form for the free training HERE. You can view the free training HERE. I'm sharing tips daily for how to create an awesome About page on Instagram and in my two Facebook groups, and I'm always directing people to sign up for the free training at the link I shared above. In case you're interested, you can see how my 30 Days to an Awesome About Page series is going on Instagram at my account @carrascreative. These are some examples of the tips I've been sharing on social media. Feel free to use any of them in your marketing by right-clicking and Save As. It goes without saying that you guys can totally personalize this! The summer slump is on its way: That time of the year where client work slows down and we have the chance to work ON our business rather than IN it. This is the perfect opportunity to take a look at your website and FINALLY make those long overdue updates! 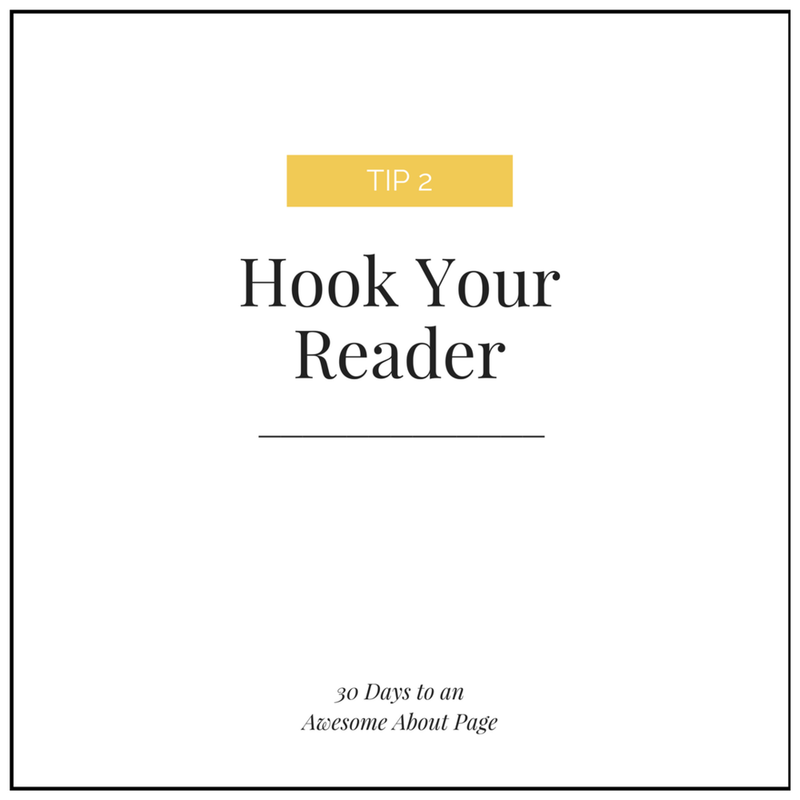 A great place to start is your About page. I bet that when you first wrote it, you cringed the whole way through and quickly put something up on your website just so you could get it over with. Now's the time to optimize your About page so that it's working to help you book clients 24/7. It's page that's going to get potential clients interested in you, excited to work with you and hitting that 'Work With Me' button in no time at all! Don't know where to start? My good friend Maria Carras over at Carras Creative (@carrascreative) has put together a totally free training + checklist that will guide you on how to craft an awesome About page. Ready to get started? Go ahead and sign up for the free training at the link in my bio. My good friend Maria over at @CarrasCreative has just launched a product that I think will help so many small business owners, freelancers and service providers. 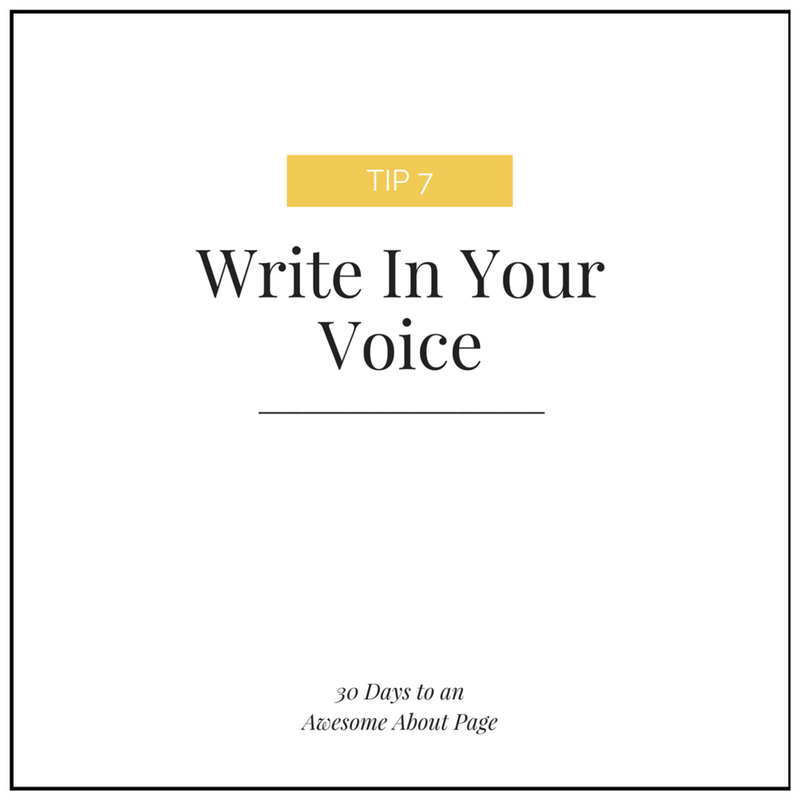 It's a value-packed, interactive workbook that will help anyone write their own killer About page in no time at all -- even if you think you're a terrible writer! Full of questions, prompts, fillable-sections and real-world examples from successful entrepreneurs like Pat Flynn, Jenna Kutcher and Melyssa Griffin, the DIY Your Killer About Page workbook is a comprehensive guide and framework for crafting an about page that will get clients knowing you, liking you and hitting that 'work with me' button in no time at all! 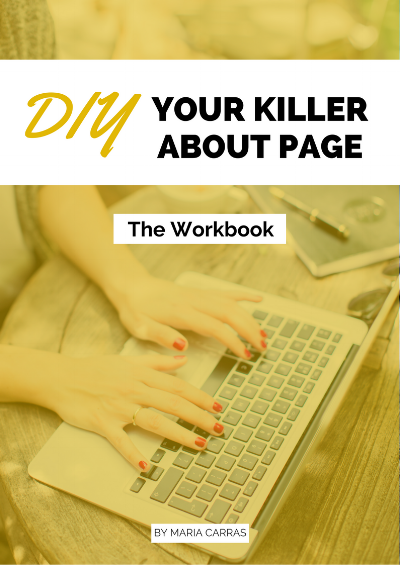 If you've been putting off writing your About page, I think this workbook will finally help you get it done! Head to the link here (INSERT LINK) to get your copy today! Right click and Save As the image you'd like to use! I'd so appreciate it if you could tag me on Instagram (@CarrasCreative) Or Facebook wherever possible so that I can see how the posts are doing. If you've got any questions at all, send me an email!